• The company has a land of area 25.7 feddans (107,000 m 2) at Northern Expansions of First Urban Region in 6th October City . • The land will be used as distinguished housing project full of residential buildings, utilities and recreational & service buildings to serve the project. 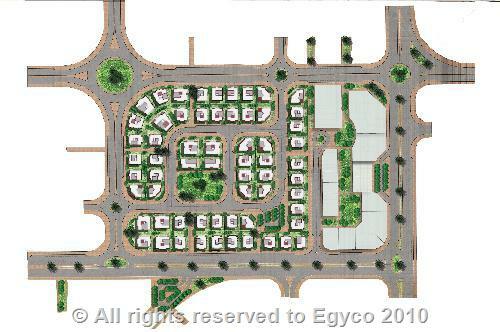 • (47) residential buildings will be constructed on an area of 25 600 m 2 . They will be in seven types different in design and spaces.